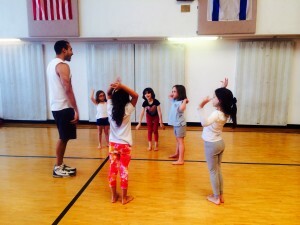 Elementary school gymnastics ages 5-13. 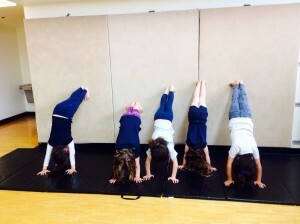 Kids will work on progressions, which include forward-rolls, backward-rolls, handstands and cartwheels. They will also work on strength on the bar and jumps on the trampoline. Equipment will be introduced: balance beam, mini- barre ,trampoline, springboard and panel mats. 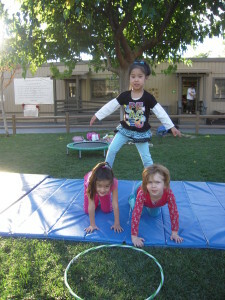 “Jumping Gym” brings all the equipment to the school location which include balance beam, mini- barre ,trampoline, springboard and panel mats.